Grove City College's WSAJ radio has a proud heritage of pioneering broadcasting, spanning more than 100 years. 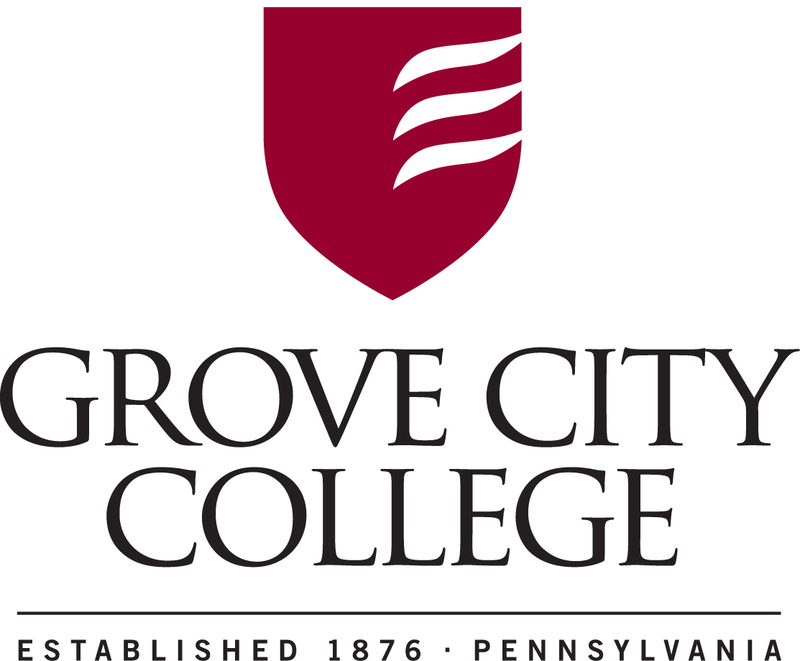 Grove City College was among the first academic institutions experimenting in radio "telephony". The mind behind this undertaking was former physics chair, Dr. Herbert W. Harmon. Dr. Harmon's research and experimentation, dating back as early as 1911, in experiments actually conducted in Grove City High School (the old Junior High building formerly across the street from lower campus) made possible some of the earliest advancements in "wireless telephony" and earned him a spot as a pioneer in broadcasting. Grove City College's radio transmission experiments officially began with the issuance of the experimental call sign 8YV to Dr Harmon in late-1918. In the last week of July 1919, Dr. Harmon tested his entire transmitting apparatus while Rex Patch, a wireless operator in New Castle, monitored the signal. Mr Patch reported hearing the sounds of "a man whistling and snapping his fingers" and other mechanical noises from the room Dr Harmon was working in. On the evening of April 26, 1920 under the watchful eye of Dr. Harmon, Weir C. Ketler, president of the college, went on the air and addressed the New Castle Rotary Club nearly 20 miles away. Once again, Rex Patch was manning the receiving equipment. The FCC issued the call letters "WSAJ" to Grove City College on December 1st, 1922 along with frequency 1310-kcs. The station began carrying college basketball games shortly after, which led to the forming of the "Radio Club" in 1931 to help Dr Harmon operate the station. In the fall of 1932, the station was moved to the new Science building on the upper campus and placed on restricted hours of broadcasting using frequency 1340-kcs. In 1968, the Federal Communications Commission licensed WSAJ-FM at 10-watts on frequency 89.5-mhz. The studios on the third floor of Rockwell were adapted to accommodate the new equipment and additional studio space. Just over a decade later, the studios moved from the third floor of Rockwell Hall to a location on the ground floor of Ketler Dormitory. In 1984, a power increase was granted that moved the station up to 280-watts improving the coverage area quite a bit. Another power increase was sought - and granted - in 1994 which allowed WSAJ-FM to transmit at 3kw watts while moving to 91.1-MHz. At that time, a college initiative to change operation of the station created additional studios and office spaces in the Technological Learning Center. From there, a college staff personnel programmed a locally-created and managed Classical/Fine Arts format. Student programming though was migrated onto a restricted-operation, AM signal available only on campus. The new 3kw FM signal though emanating from the roof of Rockwell proved problematic to sensitive test equipment in Rockwell and a transmitter move off-site was approved and completed in 2001, which increased the FM station's coverage area again (and improved relations with the Physics folks on the 3rd floor of Rockwell). In 2002, syndicated jazz programming was added to the overnight schedule, breaking-up the 24/7 syndicated classical programming and occasional sports broadcast. In 2003, at the direction of new Chairman of the Board, David R. Rathburn '79 (and former WSAJ Sports Director), student broadcasting triumphantly returned to the airwaves of WSAJ, alternating spots with the existing classical and jazz programming during the afternoons and evenings. Student broadcasting at that time was -and remains- based around an "Indie" rock format that provided exposure for not only Christian artists, but other, independent artists outside of consideration for mainstream radio airplay. In 2007, additional, syndicated programming was added in the form of BBC World Service News updates, Classical-24 from Public Radio International, and more than 24-hours of weekly shows featuring symphonic concerts, bluegrass, folk, blues, Americana, jazz, swing, African music, and more. 2009 brought a major, technical upgrade in the form of the state-of-the-art, Dorothy "Dot" Newman Wilson '43 studios, located in the TLC building. Most of the funding for the new facility was provided through a generous, memorial gift by Dorothy's husband, Dr. H. Randall Wilson '42. Both "Dot" and "Randy" were WSAJ alums, participating in the station's operation during the early 40's. The next technological leap for WSAJ radio occurred in March of 2011 when the college commissioned a new transmitter site at a different tower sitea bit further off-site. The new location and equipment allowed for a significant boost in power and coverage for the station. � 2018 WSAJ-FM. All rights reserved.